The San Diego Horticultural Society welcomes author, speaker and avid gardener/cook, Lorene Edwards Forkner. Lorene will discuss Small is the New BIG: 3 Big Rules (& 4 Small Ones) for Designing Small Gardens with Impact. City-sized gardens, high density urban housing, fewer hours for leisure (and even fewer for slaving in the garden) – you have to be a master of invention or mistress of ingenuity when it comes to fitting a garden into a busy 21st century life. Lorene offers us a lively evening illustrated with slides and stories of gardens infused with personality and passion, structure and changing seasonal interest. You can have a landscape that lives large regardless of the size of its footprint and still have time left over to enjoy it. Author, speaker and avid gardener/cook, Lorene Edwards Forkner revels in the seasonal pleasures and broad scope of gardening life that the Pacific Northwest affords. Working from home and tending a small city garden provides Lorene with a living workshop and practical skills in her hands-on pursuit of color, textures, form and delicious flavor every day of the year. A designer’s eye for re-purposing objects and a keen sense of conservation and thrift infuse her every effort with personality, wit and sustainability. 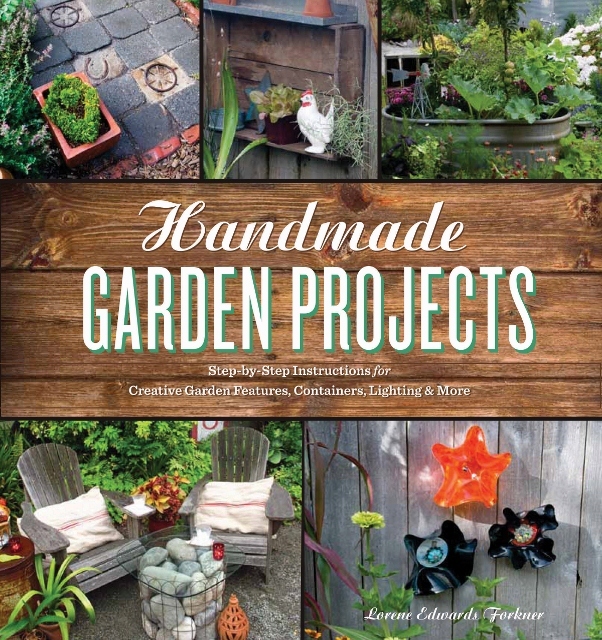 Lorene is the author of Handmade Garden Projects: step by step instructions for Creative Garden Features, Containers, Lighting & More (Timber Press, 2011) and regularly blogs at Plantedathome.com where she recounts her explorations, sometimes hapless experiments, and spins stories about home, garden, work and play.